Better late than never I thought it was time I blogged the colour challenge Kim and Chantell and I had in February. We had to use Stampin' ups in colours. 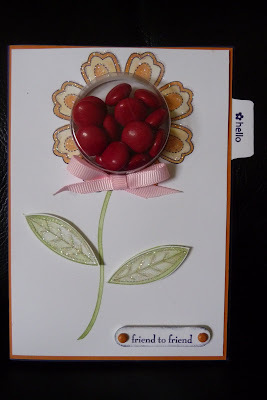 I decided to use my brayer and the Inspired by nature stampset. Taking three different ideas from others I mixed them all together. Kim gave us a little treat as well as a card. She has used the Sweet treat cups with a sliding door on the back so we could get our sweet treats out. 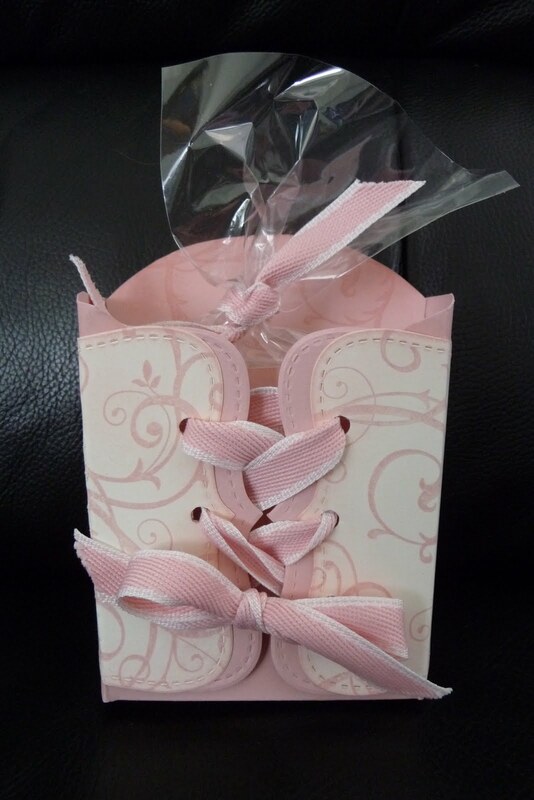 Chantell used all the in colours to make us this wonderful set of cards all stacked in a laced up bodice. Pretty cool ay!